Welcome back to another feature in our Bracq Friday spectacular -- a celebration of the best cars from Frenchman Paul Bracq. This next car doesn't have an exterior that was penned by our favorite French car designer, but he was head of interior design for Peugeot when this car was released and contributed to that sweet Pug driver's view. 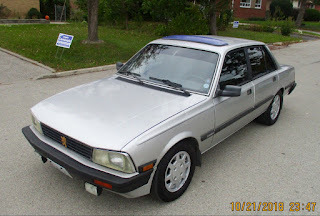 Find this 1988 Peugeot 505 STX here on eBay offered for $6200 CAD ($4663 USD) located in Thornhill, Canada. As a proud eBAY member with 100% POSITIVE FEEDBACK - I am offering a TRULY STUNNING SURVIVOR 1988 PEUGEOT 505 STX 2.8i WITH ONLY 72,900 ORIGINAL MILES – 122,100 ORIGINAL KILOMETRES SINCE NEW! THIS IS TOTALLY RUST-FREE SURVIVOR WITH FULL SERVICE HISTORY WITH FACTORY ORIGINAL PAINT! WE JUST SPENT OVER $ 3,700 DOLLARS ON A MAJOR SERVICE WITH A PEUGEOT SPECIALIST - FULLY DOCUMENTED! THIS PEUGEOT 505 STX 2.8i V6 IS UNMOLESTED, TOTALLY RUST-FREE AND IN EXCELLENT ORIGINAL CONDITION WITH FULL SERVICE HISTORY & MAINTAINED REGARDLESS OF COST! 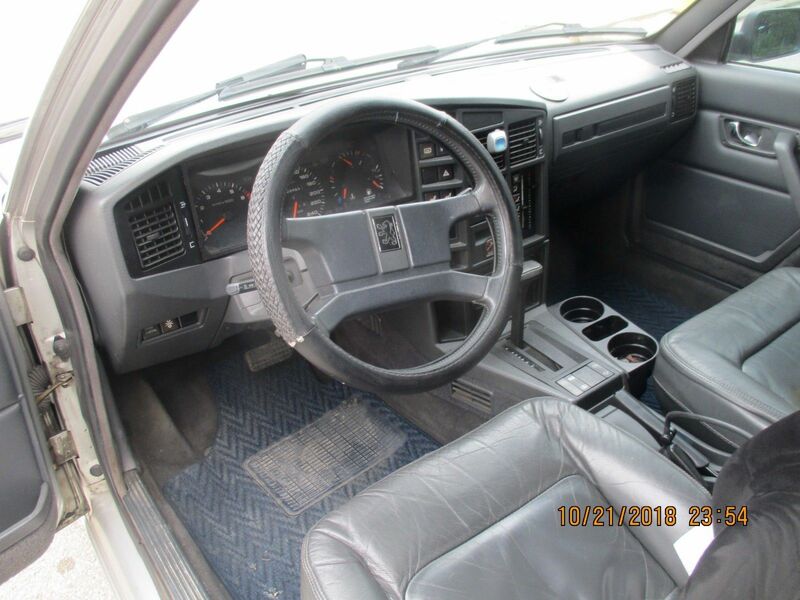 THIS IS A TURN-KEY CAR - NEEDING NOTHING BUT A NEW DRIVER! I AM SURE I FORGOT SOMETHING - SO PLEASE ASK ME ANY QUESTIONS YOU HAVE AND I WILL ANSWER TO THE BEST OF MY ABILITY. Although this 1988 PEUGEOT 505 STX 2.8i V6 is in BEAUTIFUL ORIGINAL condition - it is still a USED CAR and will have expected wear and tear. I DO NOT WANT TO MISLEAD ANYONE AS MY STANDARDS COULD BE DIFFERENT FROM YOURS. IF POSSIBLE PLEASE INSPECT IT YOURSELF OR SEND SOMEONE TO INSPECT IT FOR YOU SO THERE ARE NO SURPRISES! Normally you would narrow down where a city is by including the state or province. Thornhill is located in the province of Ontario. It is right on the boarder of the city of Toronto. You may be familiar with its sports teams. Maple Leafs hockey, Raptors basketball and Blue Jays baseball. Oh boy. Yeah. I was lazy last night. Too much Turkey and Wild Turkey. Deadly combo!! I could have easily searched to see which Province (Canadian for State) that it was located in...but I didn't. Thank you Rock On!!! Wild Turkey 101% proof. I know it well. I tend to forget important stuff too if I consume too much of it. Cheers and Happy Thanksgiving! I lived in Thornhill for over 20 years. If you saw how much salt that they dump on the roads you would be even more impressed how rust free this car is. I've had a few cars that were barely 7 years old that I had to scrap due to rust.